Polystichum are mostly evergreen or semi-evergreen ferns, with short stout rhizomes and pinnately divided fronds in neat shuttlecock-like rosettes. 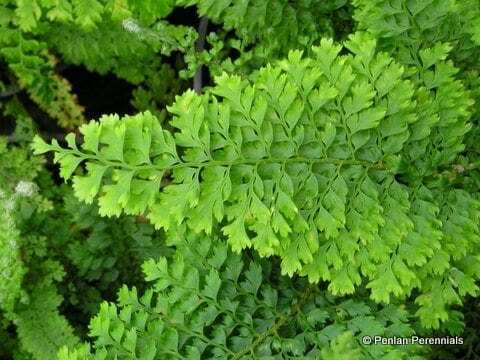 The Plumosomultilobum Group are bushy, evergreen ferns with soft, overlapping, often horizontal fronds. Fronds have a very lacy, multi-layered appearance and are divided up to four times with narrow ultimate divisions. Also known under these synonyms: Polystichum setiferum ‘Plumo-Densum’ and Polystichum setiferum ‘Plumosodensum’ Hardiness rating H7. Pot size 1.5 litre. Remove old or damaged fronds in spring as these will soon be replaced. Large clumps can be split in spring.